Just like you would expect- call, get a storage room, move your stuff in. They were nice and fair priced. Our monthly rate on a 10x10 is only $50.00 per month with a refundable $20.00 deposit when you move out and return the lock and keys. I guess that is where the $70.00 came from? If you are unhappy with the unit, we will gladly refund your money that day or move you to another unit in a newer area. Older doors are in the front of the facility. 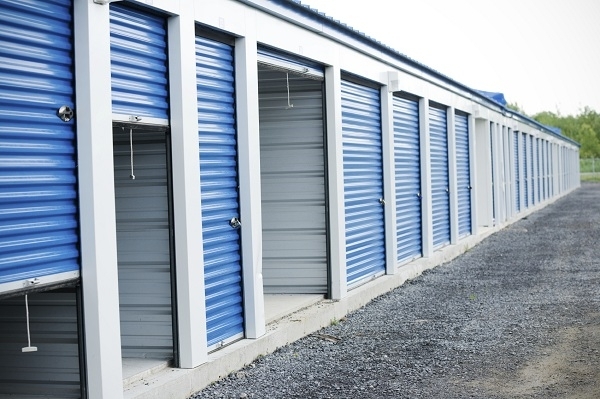 Easy accessibility to units with the best prices in a secured facility. Unit is only $50.00 per month as advertised, we do have a $20 refundable deposit that includes a lock and 2 keys. If there are any problems with the doors will gladly move you to another unit or have the door repair immediately, if brought to the staffs attention. We want all of our customers to be happy. Too expensive for a 10X10 it is $70, and the door is broken so it very hard to open and close. I was very happy with McCain Mini Storage. I actually needed my space about 10 days BEFORE my reservation and I was greeted by a smiling face that said it would be no problem at all. They set me up with recurring billing so that I would not ever be late with my payments. They gave me a handy magnet with my unit number, date payments due as a reminder and their contact detail. They even gave me one of those recommended round locks with 2 keys since I came unprepared! The lock was included with my $20 deposit, but still, those locks are pricey and I needed to get one anyway. Very friendly over the phone and in person. I'd recommend them to anyone. Overall great experience. Pleases with ease of securing a unit.